Glitter is dignified, resilient, ladylike, and can be feisty at times. As “GlitterSpace,” she won almost $200,000 on southern California racetracks. 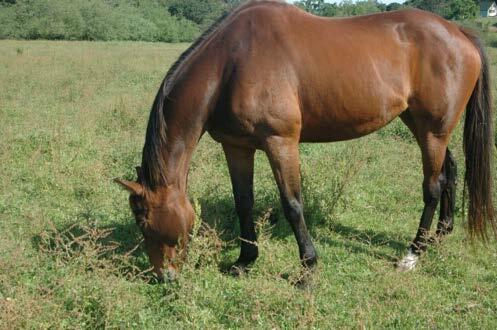 Injury sent her out as a broodmare, but she did not conceive. 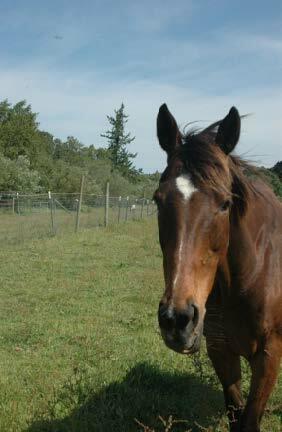 Now she’s an eager and polite participant in our equine education programs, and holds the position in the herd as deputy mare to Raja.